13 Hours: The Secret Soldiers of Benghazi is one of those movies that would be great to own in 4k. We already know it has a great soundtrack (the Blu-ray edition and Digital HD version from iTunes feature Dolby Atmos audio), but the upgrade to 2160p resolution with improved color depth via HDR makes it even more desirable. This is the first time ‘The Secret Soldiers of Benghazi’ has been made available in 4k either on disc or digital, releasing to the formats on June 11, 2019. 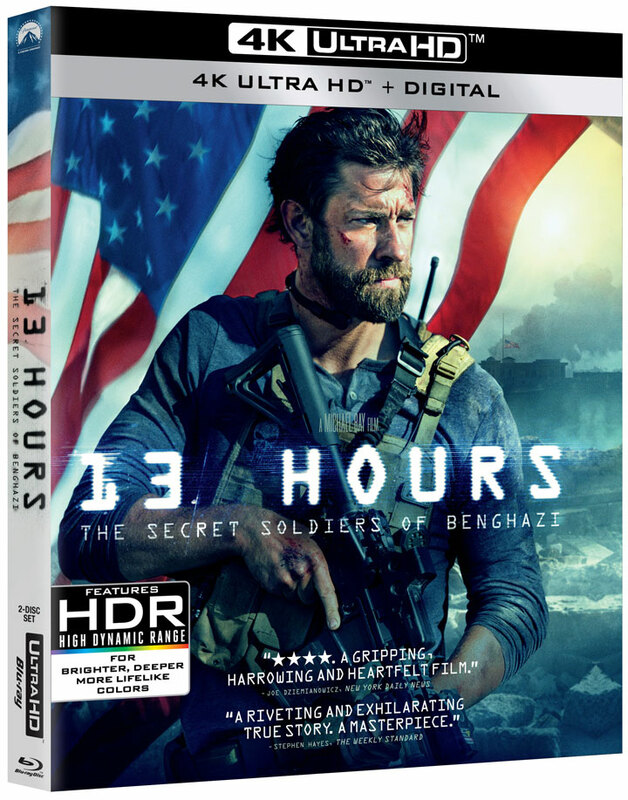 The 4k Blu-ray combo from Paramount includes two discs: a 4k Blu-ray and a 1080p Blu-ray with over an hour of previously-released bonus content like a behind-the-scenes look at how filmmakers recreated the events of Benghazi, and interviews with cast and crew talking about the making of the film. The package art for this combo edition may be deceiving as it doesn’t mention “Blu-ray” in the header. However, Paramount’s press release calls it a 2-disc release which means the Blu-ray probably only contains the bonus features. Some websites have labeled this a 3-disc edition but we believe that to be inaccurate. We’ll update this article with pre-order and price information once received. Be the first to share this news on Facebook or Twitter!